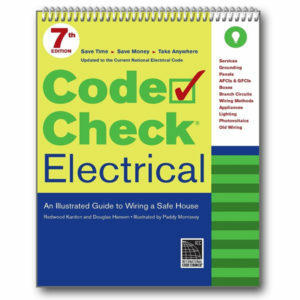 View cart “Code Check Electrical 7th Edition” has been added to your cart. 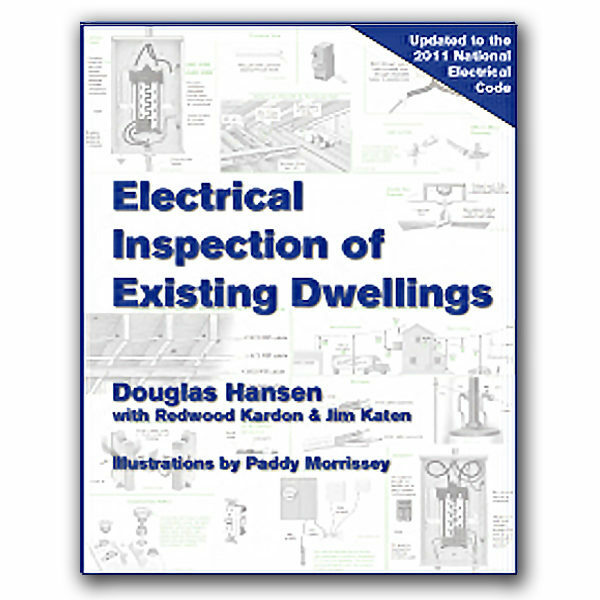 10 years ago, Code Check’s lead author Douglas Hansen wrote what was called “The best book ever written on electrical inspections for home inspectors.” Now, with the help of Redwood Kardon and Jim Katen, Douglas has completely re-written Electrical Inspections of Existing Dwellings. 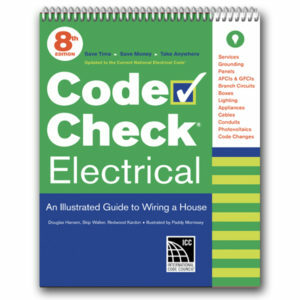 Over twice the original size, it has been updated to the 2011 NEC, and is packed with information to help inspectors through all aspects of an electrical inspection. 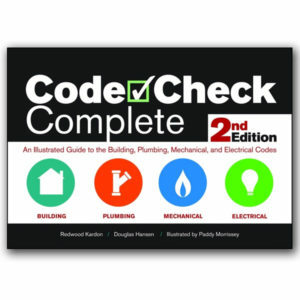 The book functions as a training manual with a systematic approach to electrical inspections. 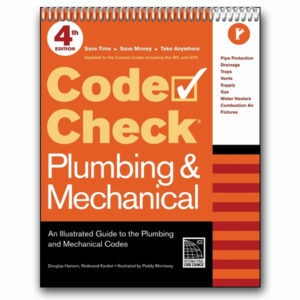 It also serves as a guide to locate the specific NEC sections that apply to home inspections, and it includes extensive historical notes on when different items entered the code and how it has changed over the years. Featuring illustrations by Paddy Morrissey, the book includes over 900 drawings, tables, and photographs, and is available in both print (black and white) and electronic format (full color). Bundle and Save! Buy the print and eBook version of the same book and save. NOTE! When you purchase an eBook, the books are not instantly available. Within 20 minutes and up to 12 hours, you will receive an email with links and setup instructions through Adobe Send and Track at no additional charge. Please be sure that your spam filter does not block messages from codecheck.com.